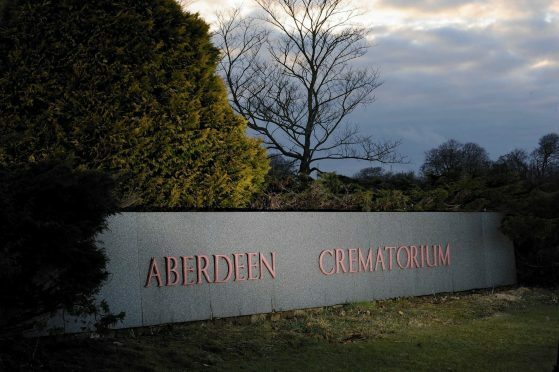 A shock new report has claimed employees at scandal-hit Aberdeen Crematorium consider themselves “the victims” of the baby ashes scandal. The National Cremation Investigation – headed by Dame Elish Angiolini – published a damning account into practices at Aberdeen Crematorium last week, which revealed babies were cremated alongside unrelated adults. The ashes were then mixed together and given back to relatives of the adult, while the parents of infants were told there were none to be had. Following the report council chiefs called for the inspector of Crematoria Scotland, Robert Swanson QPM, to visit the Hazlehead site to investigate. He has now prepared a report which was published last night. It found “a number of positive and good practices” being observed. These were particularly in handling of coffins and the removal, disposal and storage of ashes with 2,718 adults and 14 infants and stillborn babies cremated last year. But Mr Swanson’s report added: “Of most concern to the inspector was being advised that a number of the five employees currently working at the crematorium, who were in post during the period subject to the investigation, regard themselves as being ‘the victims’. Last night families caught up in the scandal expressed their concerns. She said: “I think the senior management and the staff seem to be miles apart from one another, they don’t seem to have a clue what the other is doing. Mike Middleton, GMB union representative at the crematorium, confirmed he had been at the site that day but did not take part in the inspection. He added: “I would question whether the inspector interviewed the employees and if so why I wasn’t there. “I can’t comment on the comments beyond saying that the staff have had their mental health and well being badly affected since all this came out. “There is no complacency at the site whatsoever. An Aberdeen City Council spokeswoman said: “The report has been published on the City Council’s website and has been shared with all elected members of the Council, Aberdeen’s MSPs and MPs. “As the chief executive stated to council at its meeting on Wednesday, June, 29 she is currently preparing a full report for council in August on the implications of the findings of the National Cremation Investigation.